For sale is a like new take-off Chevy Colorado ZR2 Midnight Edition 17” wheel. Complete set of 4 wheels. Great upgrade for the Z71 or LT or GMC Canyon. These wheels are currently on vehicle with 1,100 miles. 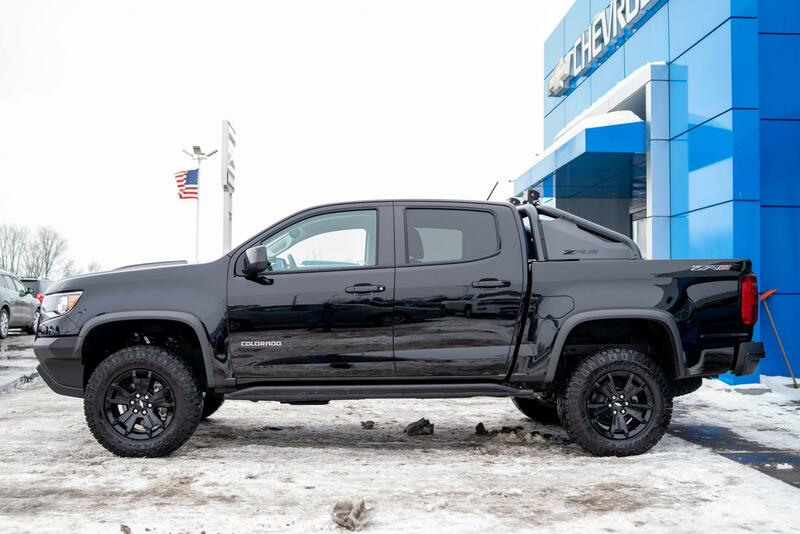 They are OEM set from a 2018 Colorado ZR2 Midnight Edition. Location Detroit Metro, Michigan, sorry no shipping. Willing to meet within 200 mile radius of the Detroit Metro area. I sometimes drive to NYC and can meet there only if paid up front. Location would help sell them! Price drop to $1300. I am open to meet within 200 mile radius of the Detroit Metro area or NYC only if paid in advance. are the center caps replaceable? Any interest in swapping for 20" denali rims and tires with 500 miles on em? My offer stands. I can pick up from your house. Local in MI. Interested in tires only if you decide to separate PM me. $1000. I can pick up this weekend. Anyone local interested in just the wheels if I buy a set? I just want tires. I would buy one of the wheels off you if 3 other people were looking for a full size spare as well! Im in NE Illinois but would be willing to travel to you. If you still have these, my offer stands at 1000. I can pick up this weekend.